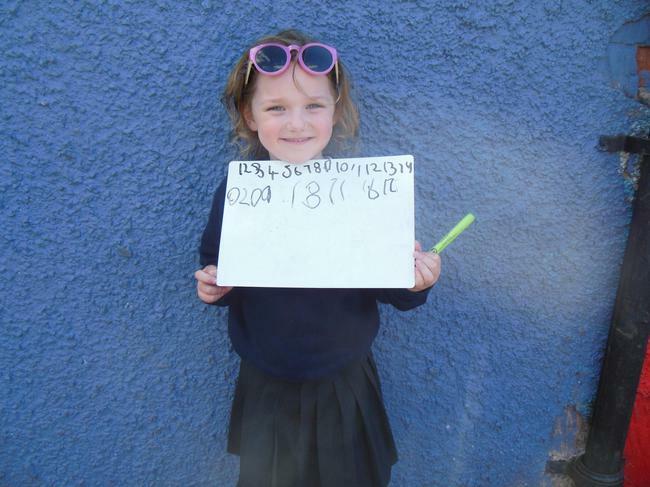 Summer Term - the sun has arrived in Eyemouth! 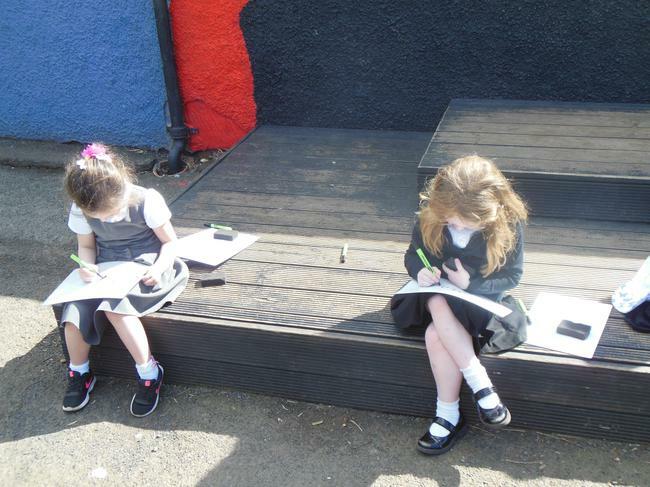 P1R has been making the most of the lovely weather by taking our learning outside. Please ensure your child brings their homework folder with them every day. We read their books each day and it is important that they bring their reading book with them so they can follow the story with their group. Homework is normally handed out on the Monday of each week and is due in on the Friday (unless it is a holiday/short week). 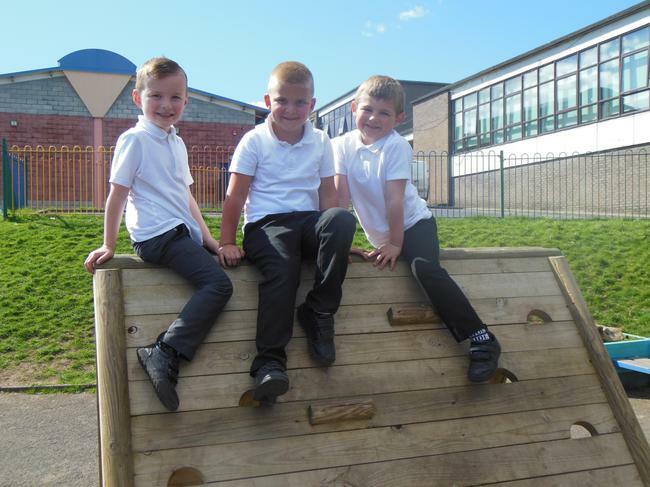 P1R are really enjoying their reading books they get each week, thank you to all the parents and carers who are taking the time to read with their child each evening. 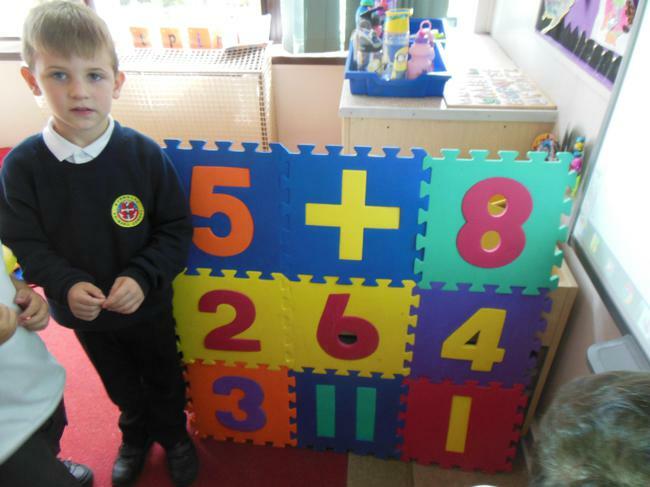 The children have been working really well in class on their numeracy and literacy. 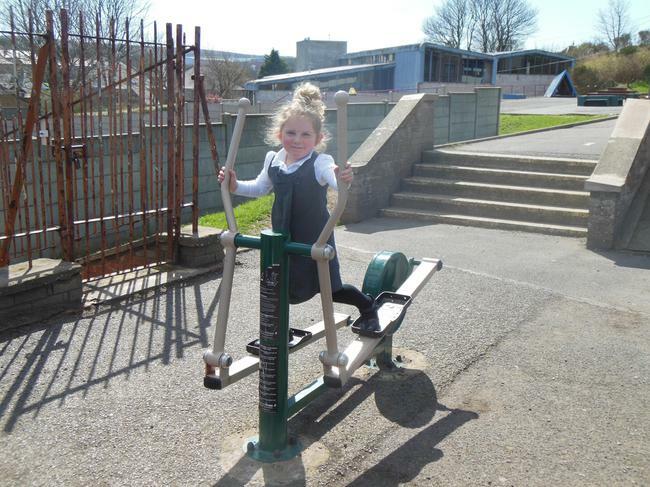 The homework that is being handed in is of a great quality and is really adding to their learning. If anyone has any questions about reading books or homework, please come and ask! 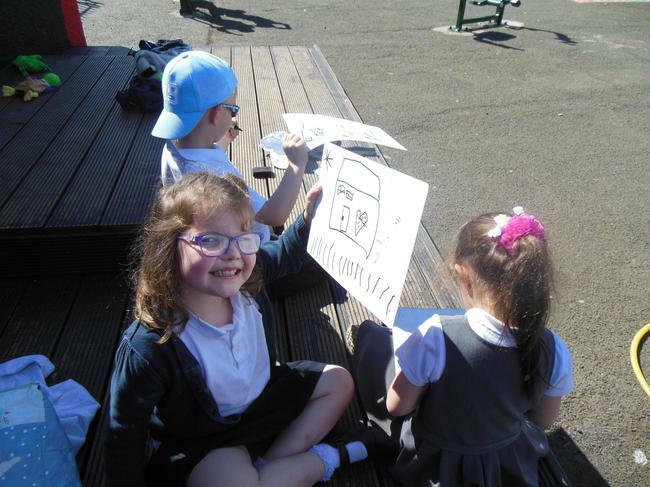 P1R have been learning all about where we live - Eyemouth! 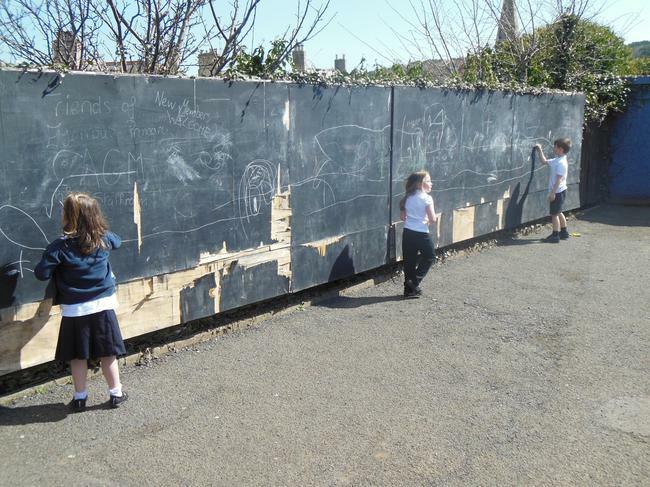 As part of our Scotland topic we have been looking at the landscape, features and people of our town. 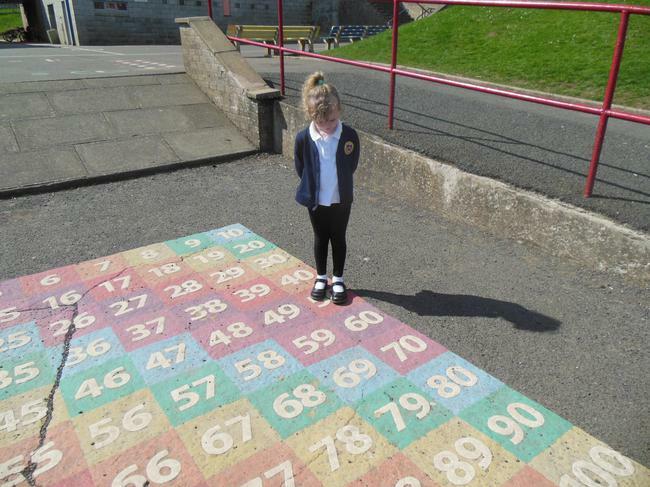 The class really enjoyed their walk around Eyemouth and we spotted lots of interesting things. 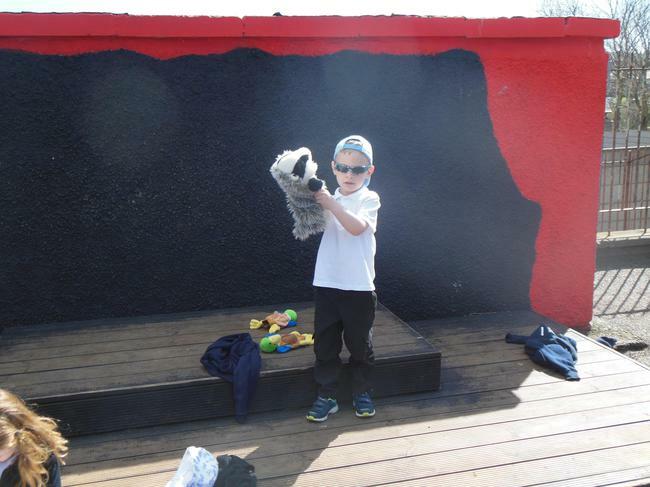 Thank you to all the adult helpers we got on the day! We especially love the lifeboats and we have been building our own boats to play with in class! 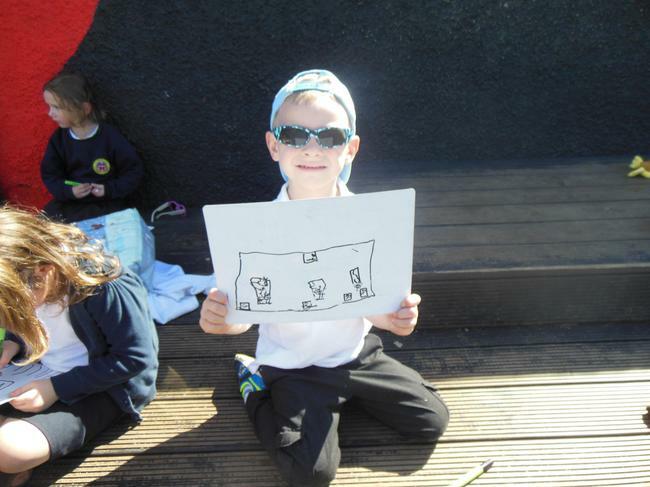 We have also been reading lots of stories about Eyemouth and we love the tales of the smugglers at Gunsgreen House. Our new Context for Learning is My Body! 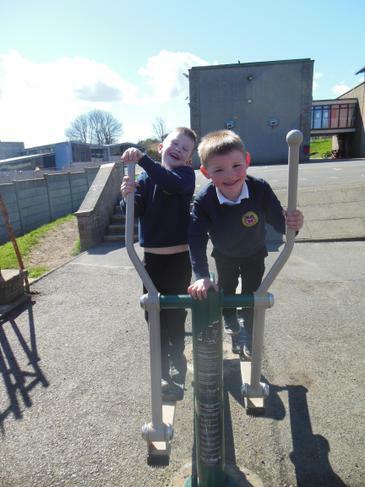 and the class have been learning all about parts of the body, muscles and bones, and what keeps our bodies healthy. During PE we did lots of stretches and we could feel our hearts beating fast after doing a lot of exercise! 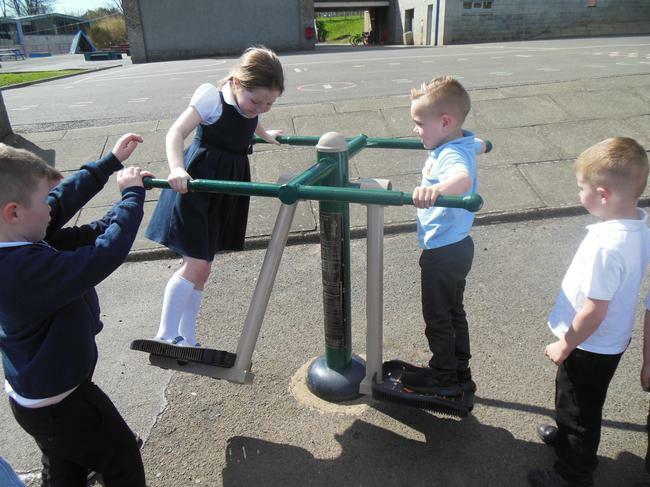 Outside we used different strong muscles to jump and climb. We also clean our teeth everyday after lunch to keep our teeth strong and healthy. Today, we learnt about bones, and we made x-rays of our hands to see all the bones inside our fingers! 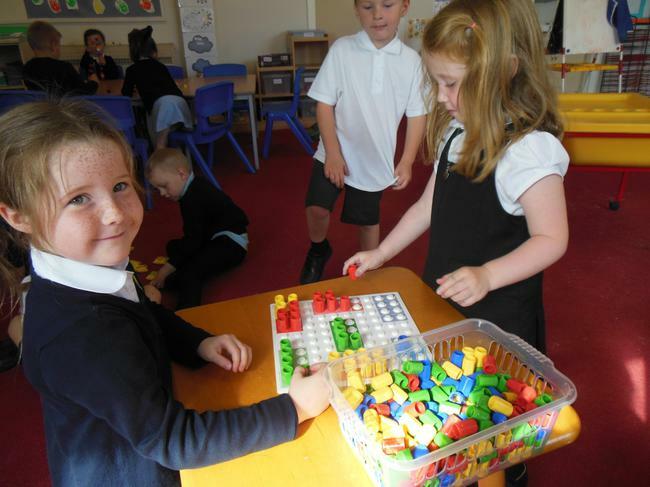 P1R are settling well into school life and have been very busy in the classroom! 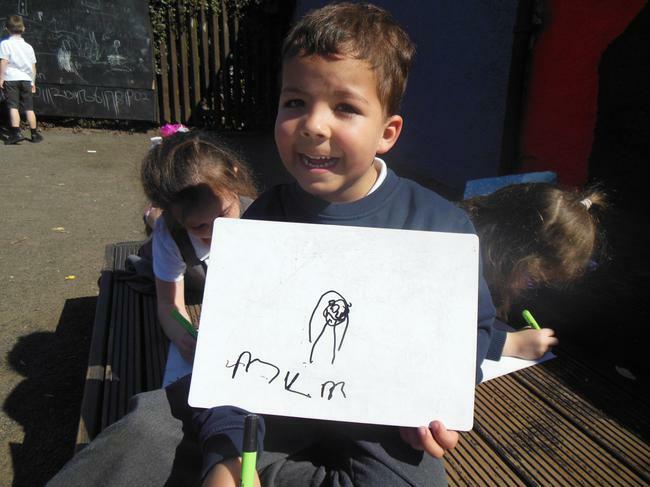 Floppy is teaching us our new sounds and we have been practising how to write the different letters. We have also started to learn how to write stories, by making faces out of play dough and telling Miss Rodger our story. 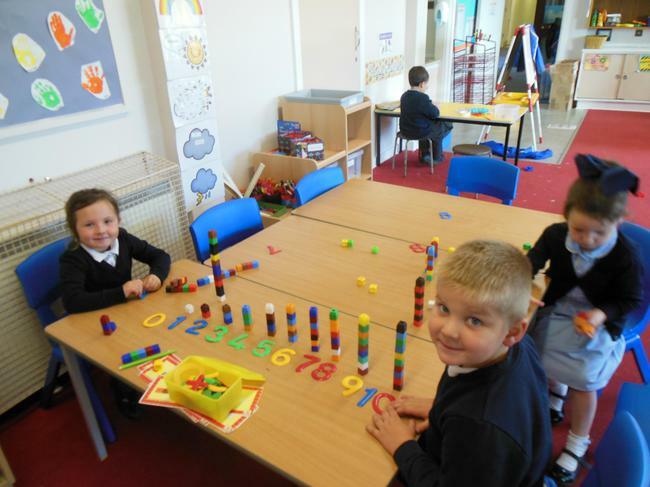 We have also been doing lots of learning about numbers from 1-10, and how to count, match and sort using towers, blocks, bears and bean bags. We even counted from 1-100 today as a whole class! 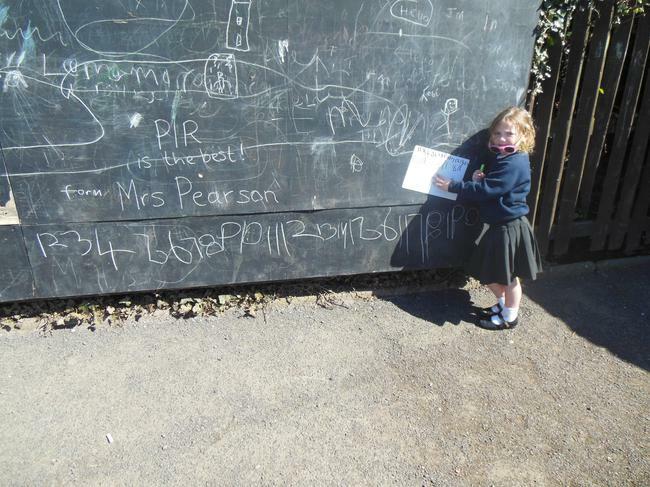 What we will be learning about in P1R!